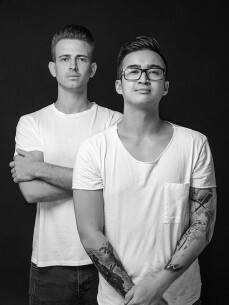 The unique project Angry Beats has been founded in 2012 by Anton Sheremetiev (RUS) and Vo Anh Tuan (VN) – two foreigners who spent most of their lives in the Czech Republic. Their longtime friendship was followed with passion for music and from many genres they selected electronic dance music as their most favorite. Among their favorite styles belongs bass house, electro house, progressive house, trance, deep house, future house but they don’t like the general labeling of music genres as they mix all kind of genres in their shows. Thanks to their fast mixing technique, hard bass and energetic performances, party people began to acknowledge their name and supports them as one of the most popular duo act in the Czech Republic. In 2014, they have achieved a residency in Duplex - one of the most beautiful and renowned club situated in the heart of the city, just on the Wenceslas Square. Their resident night Sakura has become successful event concept stylized in Asian decorations and invited many international DJs. Since 2012 they have performed in the best venues and festivals in Czech Republic. After gaining experience in domestic environment, they began expanding their shows abroad. Up to this date they have performed in Switzerland, Croatia, Germany, Poland, Slovakia, Netherlands, Austria and Italy. During April 2018, they had their first Asia tour visiting Hong Kong and Philippines. In October 2017, they released their first collaboration track “Damn Son” with Austrian DJ and producer RageMode on Gold Digger Records. The track has been supported by Juicy M, Arty or Ephwurd.